After a lot of searching, we have finally tracked down "the real deal", 16 pieces of extra thicc, extremely addictive, caffeine infused milk chocolate. First produced in 1936 as a type of Sportschokolade ("sport chocolate") for the Berlin Olympics, they quickly found their way into military rations of the German Luftwaffe as Fliegerschokolade ("flight chocolate"). 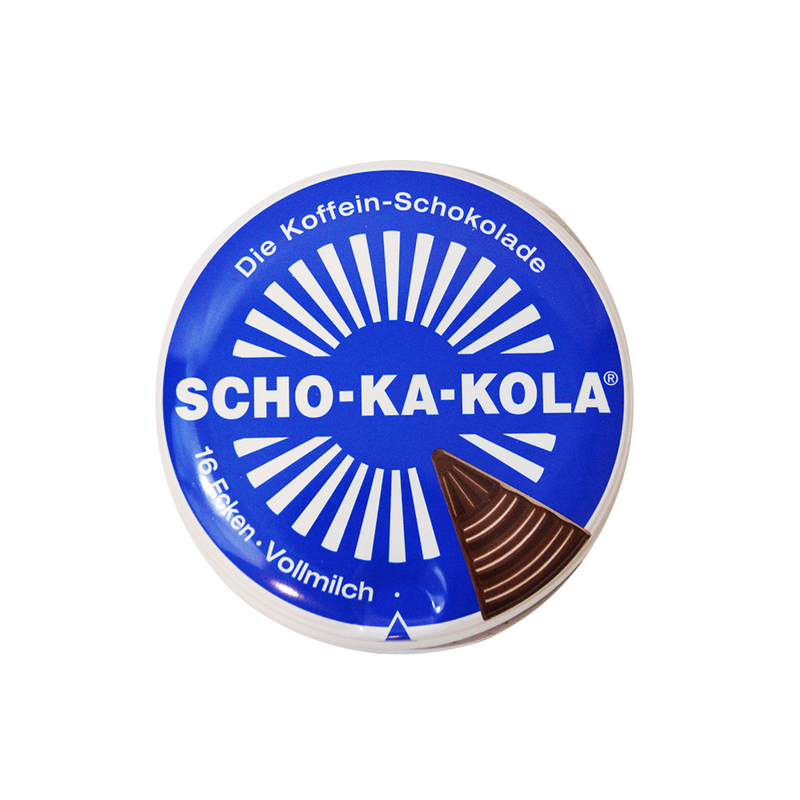 They quickly caught on with U-Boat sailors and Panzer troops during the Second World War, and some have even credited these heavily caffeinated sweets as a factor in the decisiveness of the German blitzkrieg early in the war. 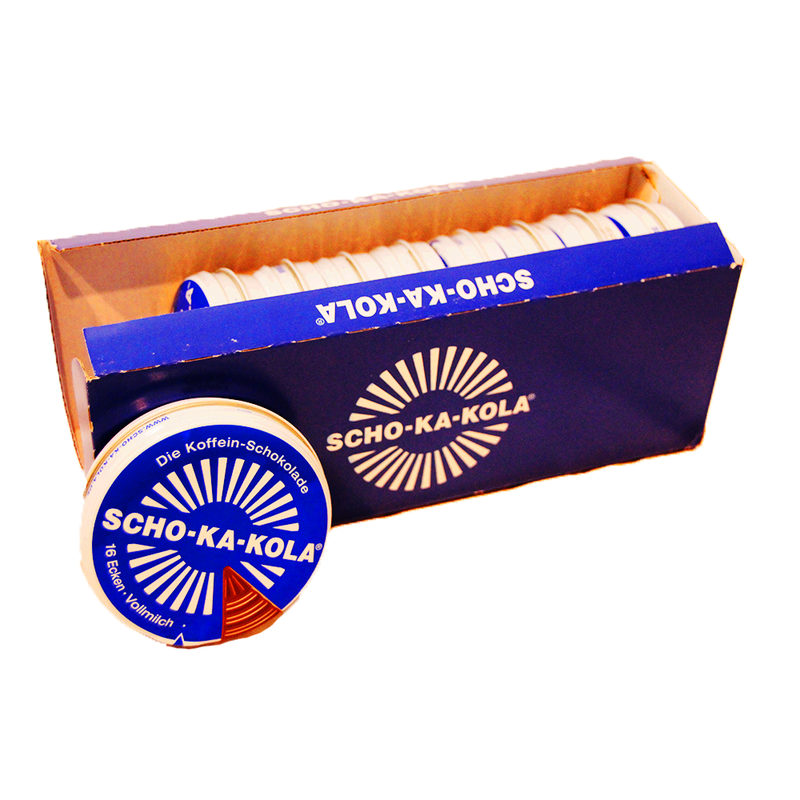 After Nazi Germany's capitulation, seized Scho-ko-kola were distributed in large numbers to German civilians by Allied occupation forces. Nowadays, these particular candies are exceptionally hard to come by, despite their legendary status, and original recipe remaining authentic to what it was in 1936. 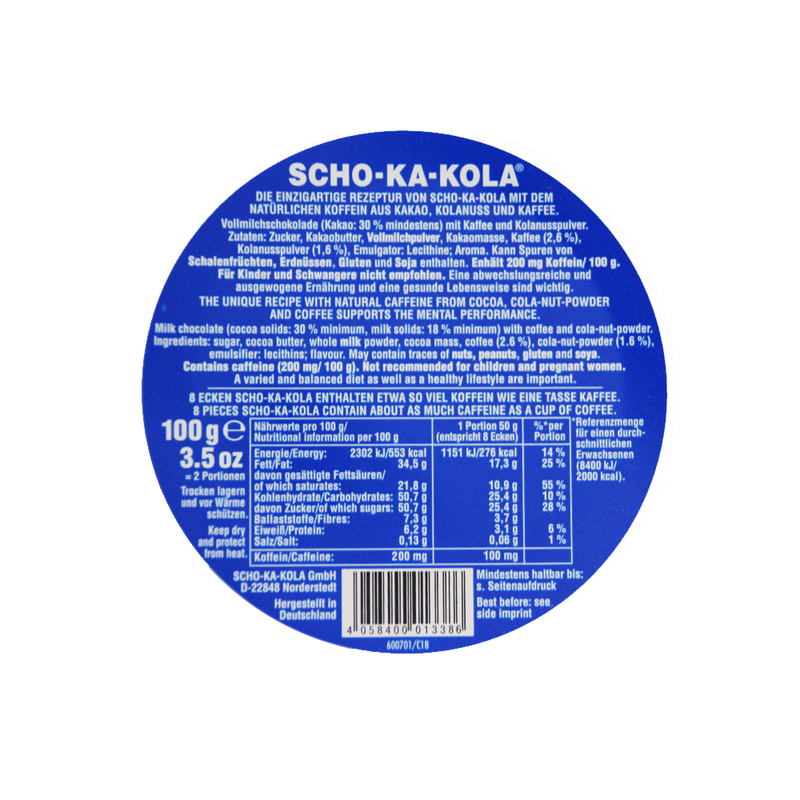 The trademark "Scho-ko-kola" is effectively banned from wholesale import into the United States because of parties that shall not be named for legal reasons, However, lucky for you, Fireforce Ventures ain't US based, so we can bring this in to retail around the world! Boasting the equivalent to 5 cups of coffee in a compact 100g tin, technically, this would make these little chocolates cheaper than your local coffee shop too. These outstanding little chocolates are extremely effective for long nights of work and studying, in addition to being a cool piece of military history that you can collect, and eat! All prices are in Canadian Dollars (CAD). We ship internationally, but are not responsible for regulations in regards to food importation in your respective country. Generally as this product is very small and not animal based, there are no additionally tariffs or restrictions. Please do not utilize this product to invade Poland, or consume in France as they will surrender.